If you talk to most teachers, they will tell you about the countless hours they spend setting up their classroom, planning lessons, and establishing procedures for every foreseeable situation. They make sure the walls are filled with pretty borders, catchy titles, and sometimes even elaborate themes that frame the whole year. Some spend their summers crafting unit plans and aligning standards. I spent six years doing just that because that’s what I thought I was supposed to do. What I didn’t realize was that the more work I did on lesson plans, procedures, and making the room mine for the students, the less ownership they had over their learning. It set the tone that I was in charge and that all answers had to come through me even if I never said it. Then I met Cheryl, the ultimate thought partner. Within minutes of meeting for the first time, we questioned why we did some of the things we did and how we might think about them differently. What if we didn’t get the room ready at all? What if we designed activities to keep families active and thinking during the “meet the teacher night”? What if we gave students a job application to fill out detailing their skills and interests before the first day of school? What if we used that information to form committees to set up the room according to what they wanted? What if we put all of the furniture in the middle of the room and surrounded it with construction tape? While these ideas seemed a little far fetched even for us, the more we mulled them over, the more they seemed to make sense. We told our principal ahead of time, and even though she couldn’t seem to wrap her head around the idea, she supported our thinking. I loved the idea, but I was nervous about putting it into practice. While I had always fostered independence in my students, this was taking it to a new level especially with 3rd graders. Cheryl never wavered. She knew it would work, so I trusted her. That fateful "meet the teacher night" came, and everything was ready. We had a code breaking activity, a continent identifying activity, graphing, job applications, and several others scattered around the room. 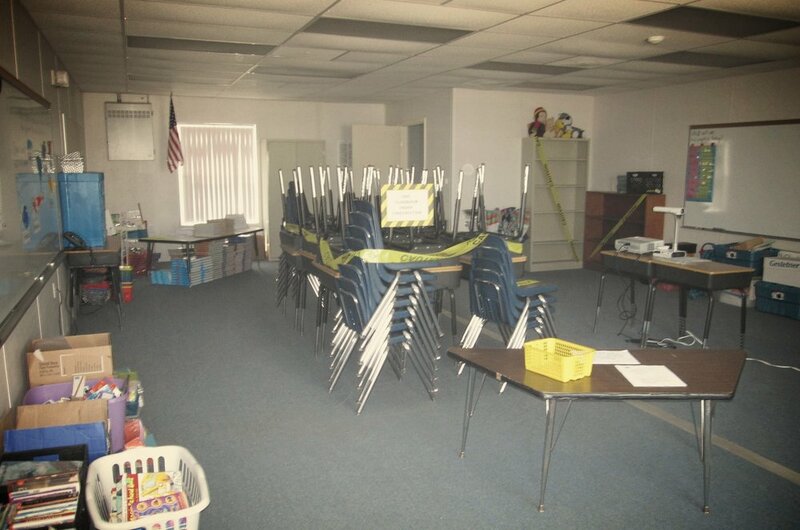 The furniture was wrapped in yellow construction tape, and all of the classroom supplies remained in boxes and piles around the perimeter. With puzzled expressions, families began to explore the room. In years prior, I spent the evening fielding questions about curriculum and pointing out what students would be learning that year. This time, there wasn’t really time for parents to ask me a lot of questions about the curriculum because the students were already engaged in it. They were already learning, and their parents could see it in action. I spent my time observing behavior and getting to know the families. Some were not happy about the furniture being stacked in the middle of the room. They wanted order. Others loved the idea. The students had mixed reactions. On the first day of school, the students knew what they were in for. Some of them took to the challenge of setting up the room beautifully, and some leadership emerged. Others clearly had difficulty working in an environment that was not controlled. This did not, however, sway me from my vision. Like me, they would just have to learn a new way of doing things. They would have to learn to trust their own thinking and trust each other. According to the job applications they filled out, students were grouped into teams based on interests and skills including building, library, planning, communication, and landscaping. Each team had to take an inventory of existing classroom materials, make a plan for their team, and follow through with setting up the classroom. It required thinking skills many of them had never used before, and it required a lot of communication and compromise. 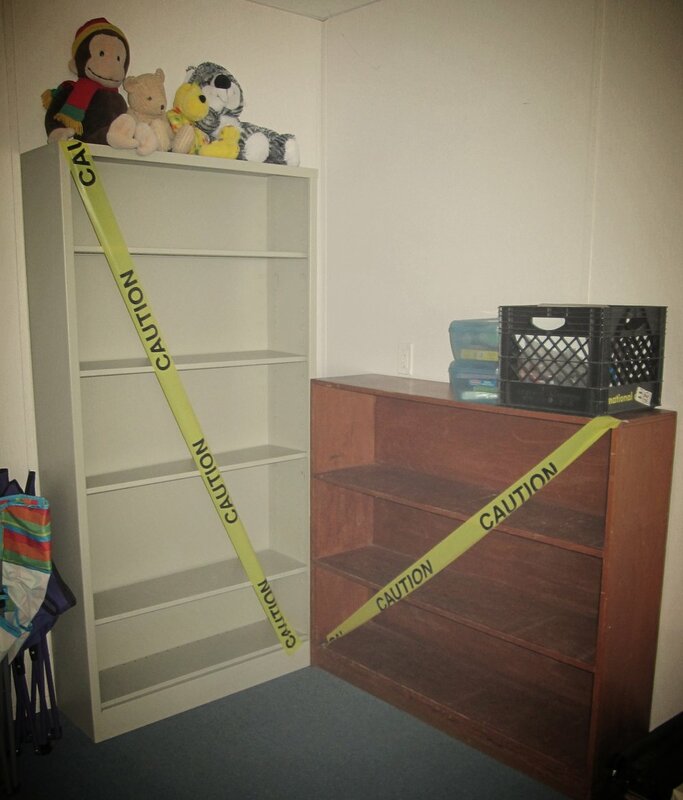 The first couple weeks of school revolved around students constructing their classroom. They not only were in charge of the physical environment through their committees, they had to decide on the procedures for doing everything from leaving the classroom to turning in homework. My job suddenly became different. In past years, I would go home at the end of the day on the first week of school hoarse and exhausted. This time, I was exhausted, but invigorated. I served as the facilitator or guide to scaffold the beginning weeks by asking questions not providing answers. This proved to be very difficult when students asked simple questions. This was not only difficult for me, but it was even harder for the students. They had never experienced anything like it. They had to think through every single thing that happened in the classroom and justify why they were making each decision. They could ask me anything they wanted, but I would always answer with a follow up question to stretch their thinking in a new way. It would go something like this. Student walks away without waiting for my response. I smile. Small victory. And it was those small victories in the first few days that led to huge learning throughout the year. I could have very easily given the student an answer, or better yet, I could have just saved all that time and placed the pencil sharpener in a location that was easily accessible by all. But then that great opportunity for learning would have been missed. That conversation above was an exercise in problem solving. Think about it, if every moment throughout a school day infused little moments like that, students would be thinking for themselves in no time at all. And that is exactly what happened. By giving students opportunities to make decisions on non academic matters like where to put things and when to do things, they gradually became confident to take risks when it came to academic matters like trying a new way to approach a math problem or engaging in a difficult group project. And more importantly, they began to rely not on me to tell them what to do and when to do it, but they learned how to find answers, pursue their curiosities, and develop a voice in their learning.